These lovely personalised gifts are the perfect keepsake to celebrate the arrival of a a new baby or a perfect Christening gift. 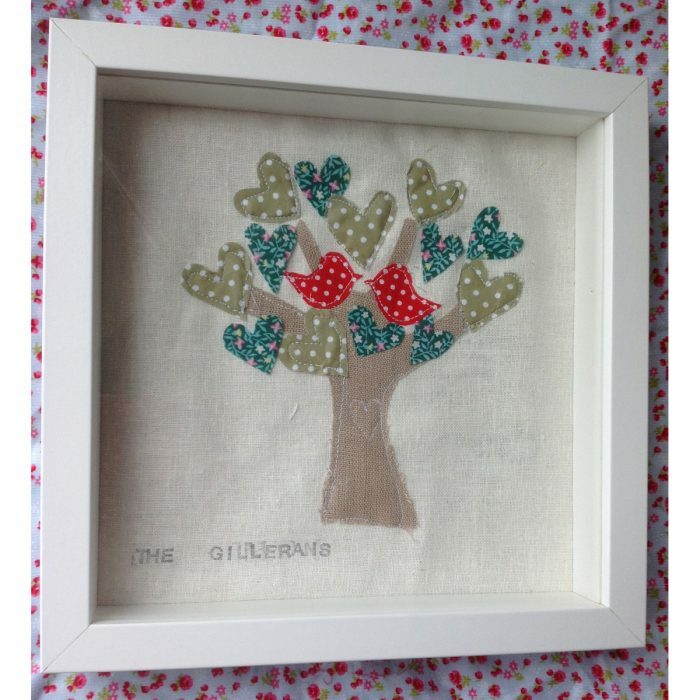 Each frame features a appliqued hearts – different shades represent children, grand children and great grandchildren and the bird represent Mum & Dad. Each piece is completely original as every piece is individually cut out and stitched and therefore will have its own unique look. The family name will be stamped on giving it the “homemade” look and feel. Each piece comes mounted and framed in a contemporary white box frame which can be hung on the wall or sat on its side. The frame contains glass glazing and not Perspex. 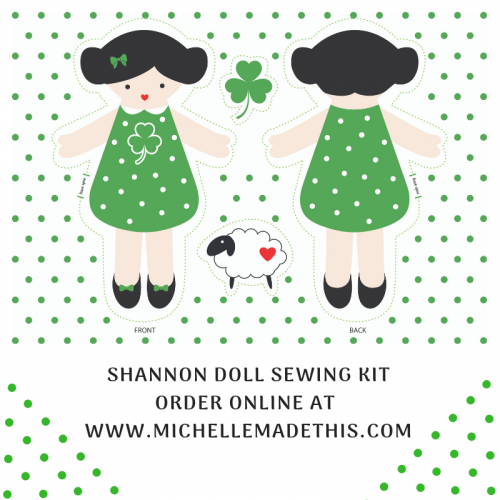 Please note these items are custom made to order and can take up to two weeks so please allow plenty of time. Free delivery is available for orders within a 10 mile radius. Please contact me to discuss same. Please see shop for similar products. You can also see more of what I do on facebook, twitter and Instagram.